Before the fourth ballot results were announced my friend Mike and I spent 20 minutes working our way right to the middle of the room so we could be surrounded by a mix of Dion and Ignatieff supporters. That was about as tightly packed as I have ever been or ever wish to be. Looking around and seeing the desperate look on everyone’s faces reminded me of the Ayatollah’s funeral. I was happy to observe all weekend, but at this moment I really felt like an interloper. This was their party and they had invested everything in it. For these people the stakes don’t get any higher. When the results were finally announced and it was immediately clear that Dion had stolen the race from Ignatieff people all around us basically melted. To the right of me a guy with a Dion bandanna around his neck burst into tears and started cheering like peace on earth had been declared. On the other side of me there were tears as well but the other kind. I have to hand it to the party, Canadians love to root for an underdog and Liberals showed their true Canadian colours at this convention. 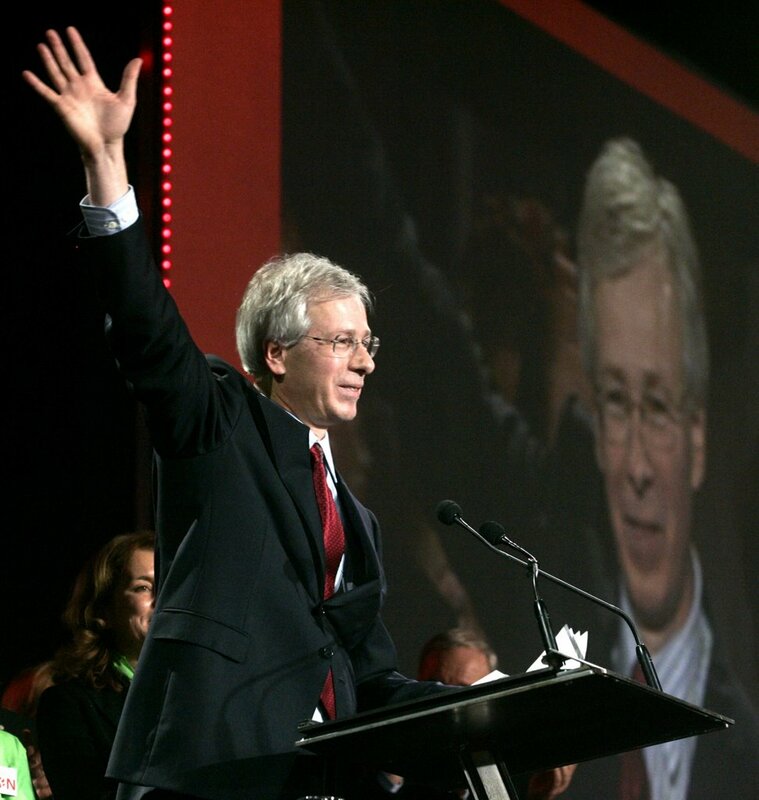 Stephane Dion was the underdog from the moment that he launched his campaign – the fact that he pulled off a fourth ballot victory against the establishment frontrunner is nothing short of miraculous. When it was all over Michael Ignatieff acted more gracious in defeat than we have ever seen. It’s pretty ironic that this experience, which has to rank up there as a personal worst for him, may in fact have been his finest moment in public life. Dion’s victory speech was very good but all it really did was confirm everyone’s preconceived notions of the guy. Liberals see a saviour who will bring them back to power and the Tories are rubbing their hands in glee over the prospect of heading into battle against a French guy who has a dog named Kyoto. Dion is an enigma to most Canadians and that’s not such a bad thing. He takes over the Liberal party as a relative unknown and as a result people have pretty low expectations of the guy. This is a good position for a politician to be in, he really has nowhere to go but up. At the end of the day though, watching Dion on stage, I couldn’t help but be amazed at his physical presence. The Liberals went into this convention with a host of choices. They could have gone with a battle-tested politician, a former athlete, a world famous academic or a food bank founder from the West; at the end of the day they choose the nerd. I think Turner had the chili for lunch.